June 2012:Torralba Group will exhibit a stand at Intercem 2012 in Istambul from 26 June 2012 to 28 June 2012. 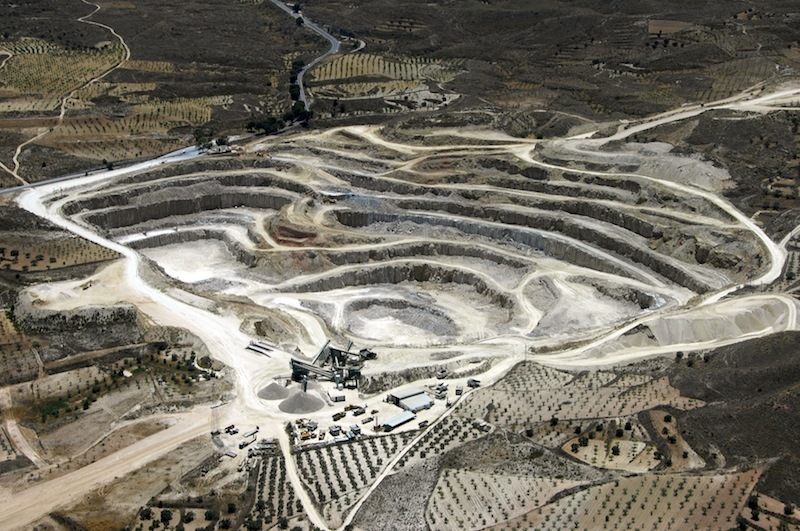 May 2012: The Torralba Group activity began in the LETIZIA quarry, located in the municipal area of Tabernas, Almeria. Last wednesday May 23rd, the first blasting took place at the gypsum quarry. The mayoress Maria de las Nieves Jaen as well the managing director of the Torralba group, Salvador Torralba were present at the inaugural act..
October 2011: TORRALBA GROUP is present at 11th GLOBAL GYPSUM in Las Vegas (EE.UU). Februay 2011: The Andalucia government has authorized the transfer of an exploitation concession Sorbas gypsum in the company Fassa Bartolo Spain, although the operator for the extraction remains Explotaciones RIo de Aguas SL, former owner, according to the agreement reached between the two companies. October 2010: TORRALBA GROUP is present at 10th GLOBAL GYPSUM in PARIS. September 2010: TORRALBA GROUP and our President, Francisco Torralba, receives the prize to the best company of the Levant from Almeria of the hand of the President of the Union of Municipalities. September2010: President of TORRALBA GROUP, Francisco Torralba, is nominated a favorite son of the municipality of Sorbas after 40 years working in a serious and professional way, possessing always the neighbors of this land. A street of the people also will take his name as recognition. April 2009: TORRALBA GROUP n his commitment for the environment resigns voluntarily to the rights of exploitation of the quarries that tape-worm granted by the Government of Andalusia inside the Nature Reserve.